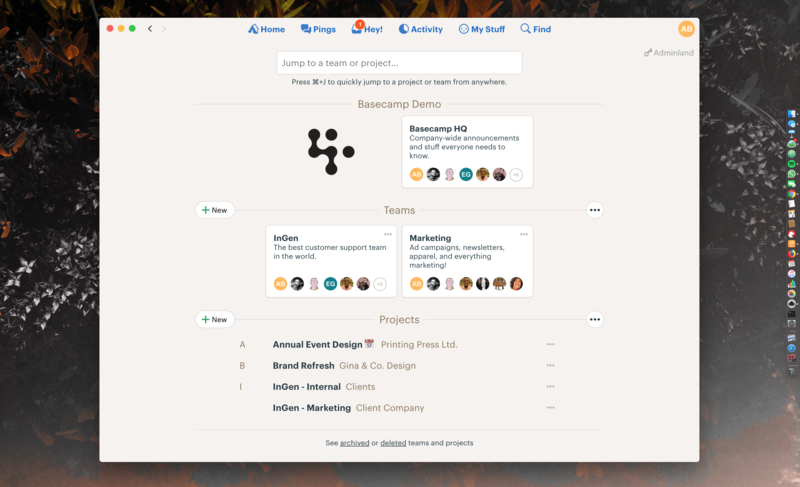 We built Basecamp 3 to work beautifully on your Mac, Macbook and iMac. Keep Basecamp 3 handy in the dock and get notifications right on your desktop. Download Basecamp 3 for Mac. Download Basecamp 3 for Mac. Open the disk image (basecamp3.dmg) file. Drag the Basecamp 3 icon to Applications to save it on your Mac. 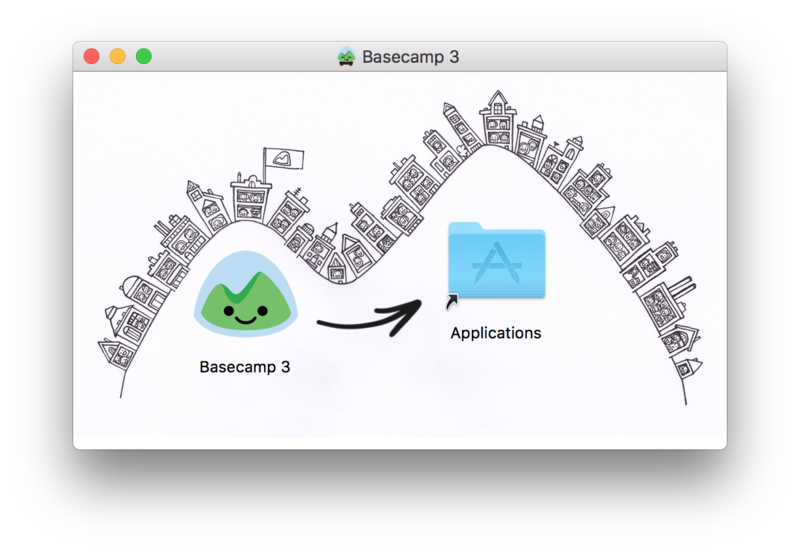 Double-click Applications and find Basecamp 3 in the Applications folder. Double-click to start the app. Sign in and you’re all set! When running Basecamp 3 will appear as an icon in your Dock. When there are new notifications to read in Basecamp a red badge will appear on the icon. Basecamp 3 will also appear in the menu bar at the top right of your OS X desktop. It turns blue when there are new notifications in Basecamp. 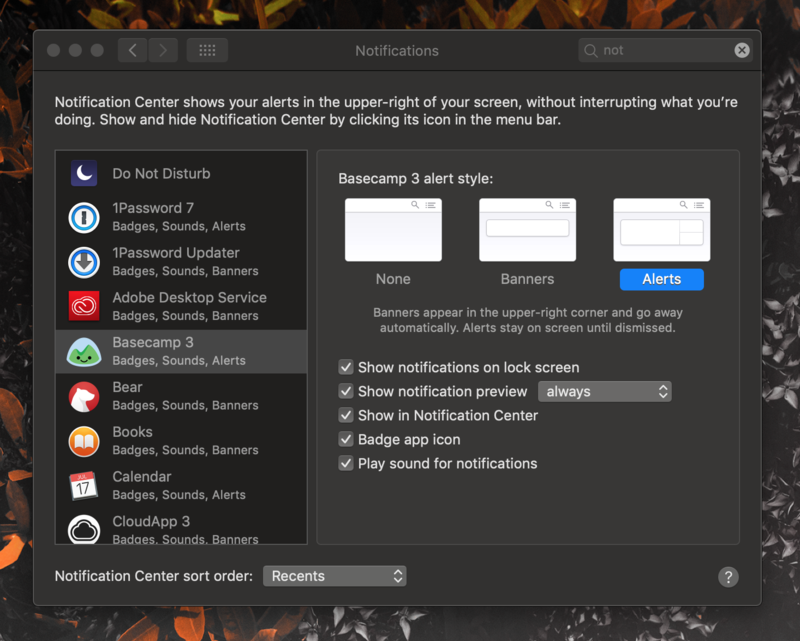 You can configure (or completely disable) Basecamp 3 notifications in the Notifcations section of System Preferences on your Mac.